If a watch is displaying a greyed out non-editable interface on the Main tab, this is due to "Applications(AppVis)" being selected for autodiscovery in the Features tab. and select from the list. Note: Changing the interface may stop AppVis gathering traffic statistics if the device configuration does not match the new Highlight selection. If a watch is displaying greyed out non-editable bandwidths on the Main tab, this is due to Bandwidth being selected for autodiscovery in the Features tab. 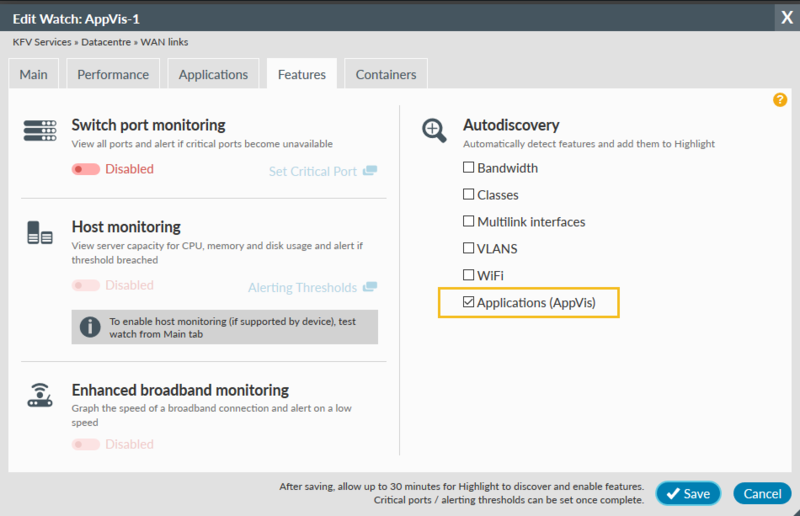 To view or change the originally configured bandwidths, uncheck bandwidth autodiscovery on the Features tab then view the Main tab for the bandwidth values. 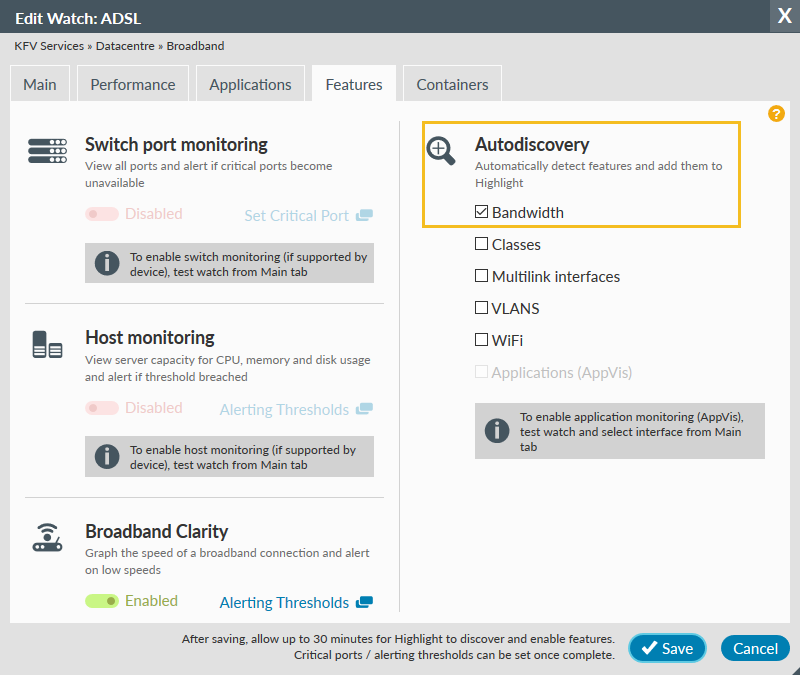 To change the bandwidths configured but leave autodiscovery, save the bandwidth changes first then re-edit and add back bandwidth autodiscovery. If the Broadband Clarity feature will not enable when in Edit watch, check that the watch type was originally activated in Highlight as an ADSL service. If not, and was incorrectly set as symmetric (type "bearer"), then the only way to enable Broadband Clarity is to first re-add the watch as ADSL or Broadband.